Anyone who lives alone or with just one other person will tell you that they barely cook because it’s such a hassle. Cooking for one or two can take a lot of effort while it’s way easier to just order in. These folks really need to get to know the latest 3 quart slow cooker as this appliance can definitely change their lives. How can a particularly small cooking appliance do just that? Easy. Slow cookers, in general, are very handy to have. They’ll make you some of the heartiest and tastiest dishes even if you’re not there to monitor the progress. It’s also very easy to work with as you practically only need to dump the ingredients in and add the right amount of liquid. 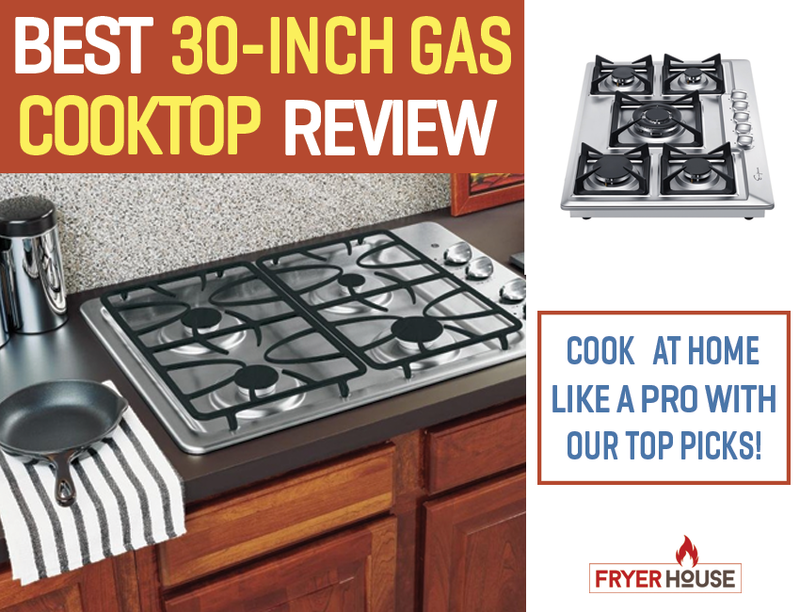 With a small sized unit, you also won’t feel like you need to cook a lot. This can minimize wastage and you don’t have to worry about it taking up too much valuable counter space. The best part? There won’t be a lot to clean up after. Slow cookers will let you make the finest one-pot meals, so you don’t need to scrub down the whole kitchen every time you cook a small amount of food. 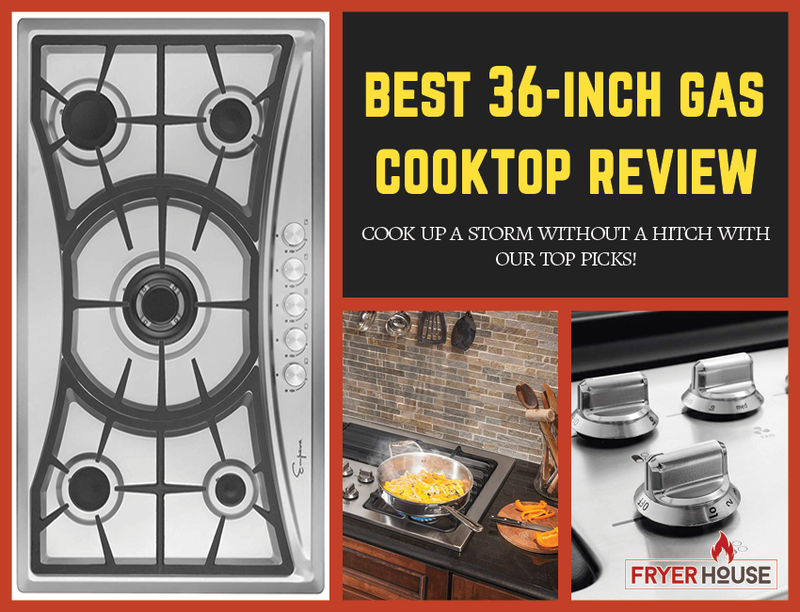 Thinking of giving these appliances a chance? 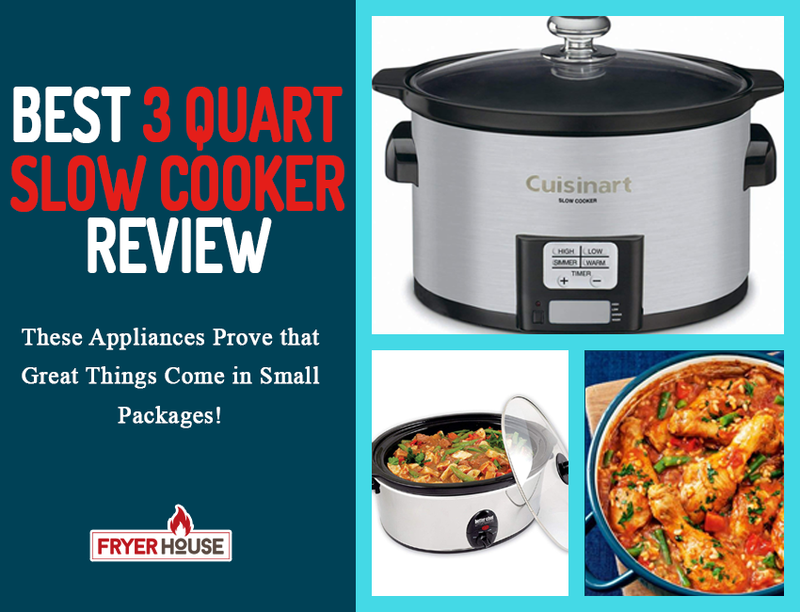 Get to know more about the finest 3-quart slow cookers below. 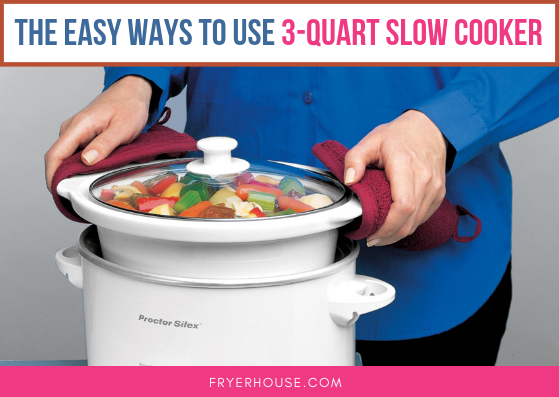 How to Use 3-Quart Slow Cooker? So, first things first: how do you operate a 3-quart slow cooker? Is it any different from a larger unit? Operating a small slow cooker is generally the same with a larger unit, you just need to be mindful of the amount of ingredients to use. 1. Prepare your slow cooker and ingredients. Preheat your slow cooker while you chop up your ingredients. Most folks recommend chunky cuts to help the ingredients retain its shape even after cooking it for a long period of time. 2. Load the slow cooker the right way. Once your slow cooker is ready to go, you should then make sure to put in the ingredients the right way. It’s important to put in the toughest ingredients first so they’ll get cooked more thoroughly and end up very tender. It can also prevent food from crusting into the cooking pot. Another thing to note is the amount of ingredients you’ll put it. Make sure that the amount of food you’ll put inside will take up at least a third of the pot. This shouldn’t be a big issue since 3-qt slow cookers are pretty small. You should be more careful not fill it to the brim to avoid undercooking. Lastly, do not forget to put in the appropriate amount of liquid. This will ensure that your food will get cooked properly, so you have to be very particular about this point. 3. Set the right temperature and cooking time for your dish. Now that your slow cooker is all loaded, you’re ready to start cooking. There are many ways how you can cook with this appliance, depending on how slow or quick you want the process to be. The ‘fast’ option will still take a couple of hours and will require you to use the high heat settings of your slow cooker. The slow option can take up to a third of a day, on the other hand, and will require the low heat setting of your slow cooker. 4. Go about your day and enjoy a tasty dish hours after you loaded up your slow cooker. The best thing about slow cookers is that you can leave it cooking on its own without worrying about burning your house down. This makes it very convenient and handy, especially for small households who aren’t really keen on cooking for just a few people in the first place. 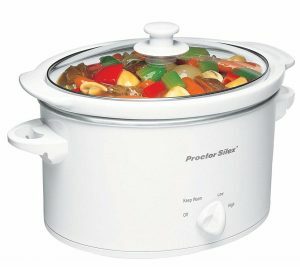 How Big is a 3 qt Slow Cooker? If you’re still not completely sold on a 3-quart slow cooker, you might want to get some idea on just how big it can be. As mentioned above, this size is already the best option for very small households. If there’s only one or two of you at home, this will already help you whip up dishes for sharing. Weight-wise, it can fit up to 2 to 2.5 lbs of food. Some say that they can cook up to 3 lbs of food in theirs, but that might depend on the shape of the unit. Oval slow cookers can accommodate more, so if you want to stretch the amount of food you can make with this tiny appliance, you can opt for such. Reading reviews is one of the most important things to do when shopping for any kind of appliance. This particularly applies to small slow cookers since you will still want to bring home the finest model out there even if you only need a minuscule unit. However, it’s not impossible to get a bit overwhelmed when searching for small slow cookers. You’ll find some folks telling you to get a slightly bigger unit so you can cook more when friends and family come over. But small units are still the perfect options for a lot of households, as most reviewers will tell you. Why? Aside from not taking up too much space and forcing you to whip up smaller portions, it can also guarantee that your dishes will cook properly. A lot of people who opted for units that are bigger than what they usually need tend to end up overcooking their slow-cooked dishes. This results in dried out and even burnt food since the appliance only deals with a small amount of ingredients. So if you’ll only really need to cook for yourself and your spouse or roommate, a small slow cooker would really be the perfect choice for you. They will be easier to use for the purpose you’ll actually use them for, so don’t hesitate to go small. If you tend to host dinners from time to time, they can still be useful and whip up your favorite side dishes instead. To help you get started in your search for the top 3-qt slow cooker, check out our roundup of our top picks below. 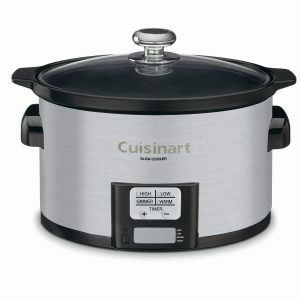 A top choice among many households is the Cuisinart PSC-350 3-½-Quart Programmable Slow Cooker. As the name suggests, this item will let you program your cooking settings, giving you a good amount of control over your cooking. 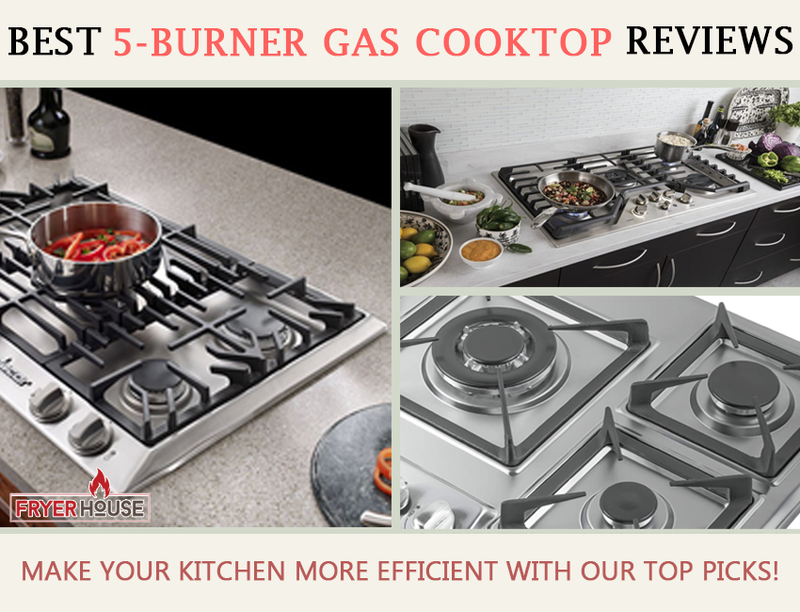 It comes with dedicated buttons for its 4 cooking modes and will also let set your cooking time for up to 24 hours. 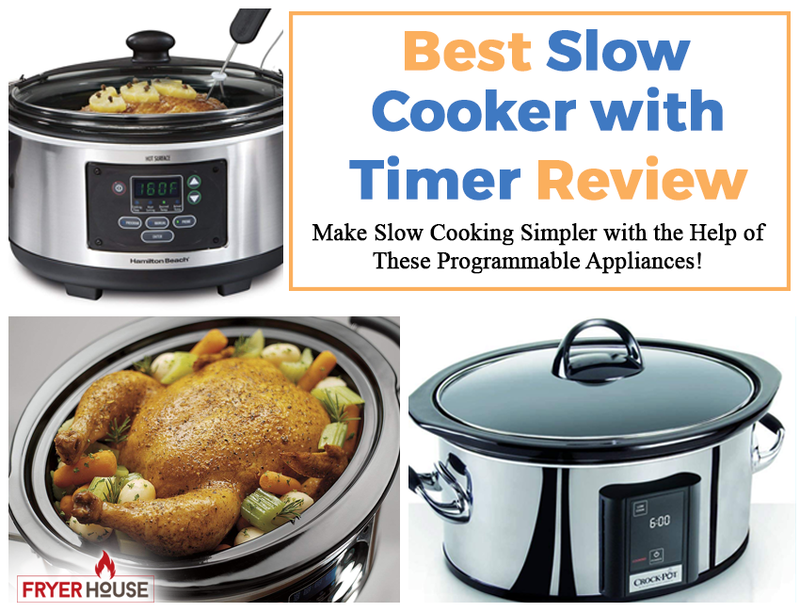 As the Crock Pot 3-Quart Manual Slow Cooker will prove, one of the best things about getting a small appliance is that they can be very affordable. 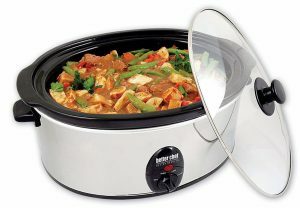 For a unit offered by one of the most popular brands for slow cookers, this item is practically a steal. Granted, it has basic features but it can already give you the results you want and guarantee good quality, so why not give this product a shot? If you just want something that will let you cook a sumptuous dish while you’re out of the house, the Chefman 3-qt Slow Cooker would already be a great choice for you. It doesn’t come with any bells and whistles but you only really need to turn a knob to get cooking. This, and the fact that it will give you access to Club Chefman, makes it a very convenient option for a lot of households. The Proctor Silex Slow Cooker 3 Quart is another proof that you can equip your kitchen with a solid small appliance despite a small budget. 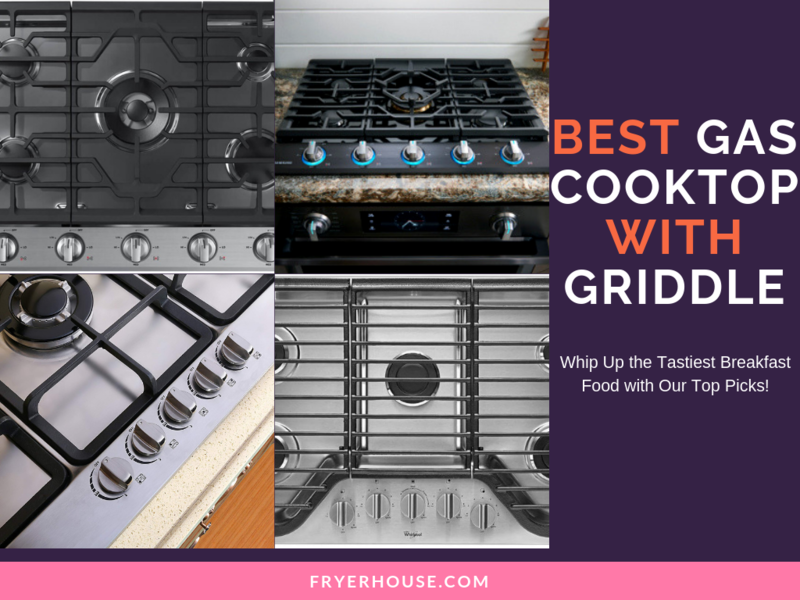 With its affordable price, you can already enjoy a convenient cooking appliance that will make your meal preparation way simpler. It might have manual controls but it is more than capable in cooking the most delicious and tender dishes for your tiny household. 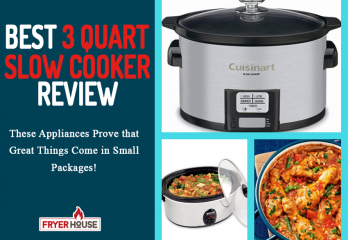 While the Rival 3-Quart Cooker may seem like your regular small slow cooker but it’s actually not. 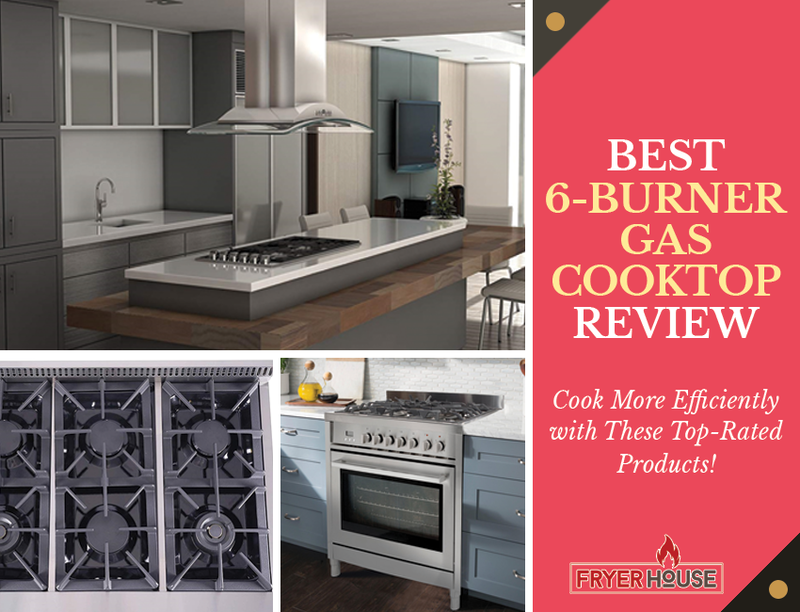 This product is a cooking appliance and a serving dish in one package as it can double duty as a food warmer on special occasions. 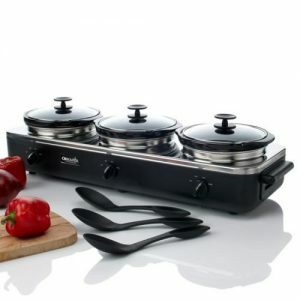 It actually comes with three 3-quart cookers, so it would be a better fit for those who are fond of hosting dinners and gatherings in their homes. If you’re worried about how you can make the most out of this cooking appliance, don’t fret. Each slow cooker is individually controlled with a manual dial, so you can opt to use just one at a time. For those who love cute kitchen appliances, the Hamilton Beach 33238 is an option worth checking out. This product is available in an animal print option, so if you like injecting some character into the different areas of your home, this can be an exciting choice. It’s also not just cute. 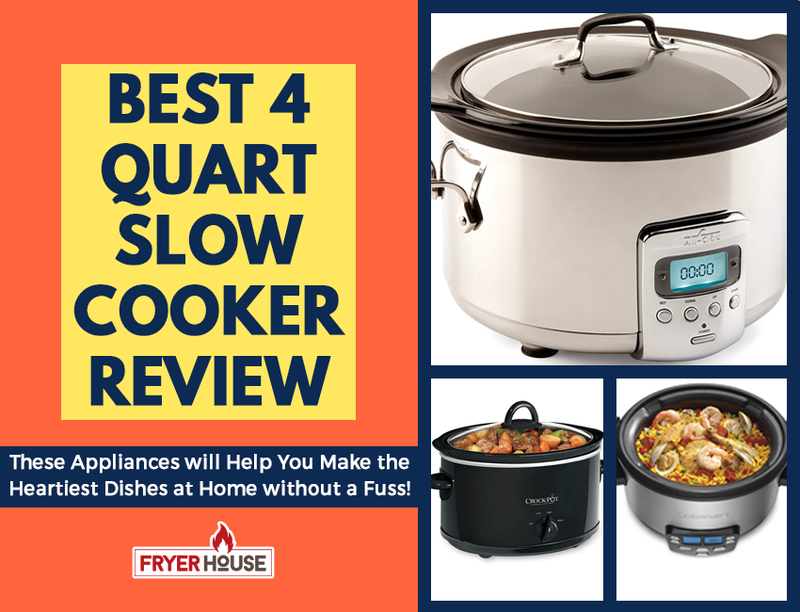 It’s also a solid basic unit that will let you whip up the tastiest slow cooker recipes out there. 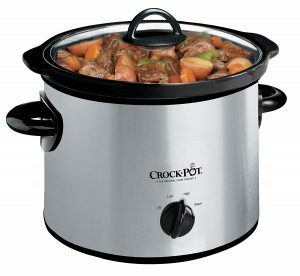 Another versatile option for a 3-quart slow cooker is the Crock-Pot 3.5-Quart Programmable Digital Casserole Slow Cooker. This product is practically a casserole-slash-slow cooker that you can take on potlucks without worrying about creating a mess in your car. With its rectangular shape, you can also easily fit various ingredients inside without a fuss. The best part? It also looks very attractive, so you might find yourself excited to take it everywhere with you. 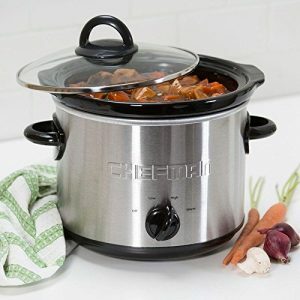 If you don’t want to spend a good deal of money on a small cooking appliance, the Better Chef 3.7-quart Slow Cooker is something you should get to know better. This manual slow cooker is possibly one of the most affordable options available in the market today, so it can be the very thing you’re after if you want to be more cost-effective when preparing your own meals. 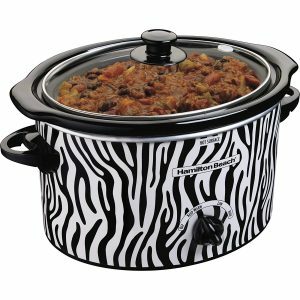 Buying Guide – How to Choose The Best 3 qt Slow Cooker? 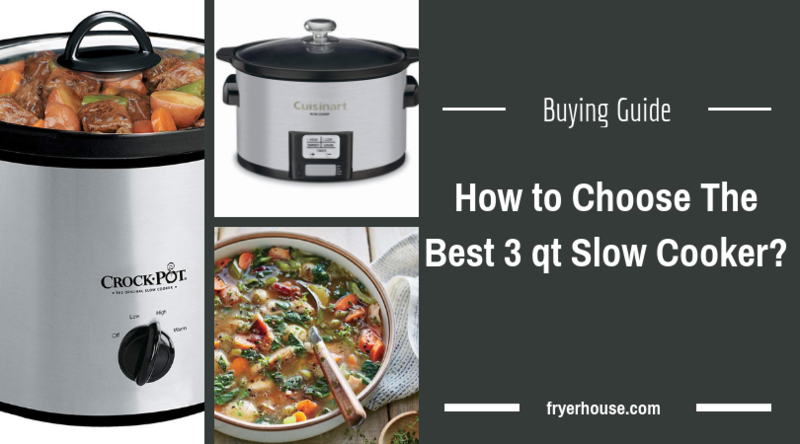 After getting to know the basics about 3 qt slow cookers, you might now be interested in learning about which product to actually get for your kitchen. With so many great options available, choosing can prove to be overwhelming. 1. Look at the features. Not because these slow cookers are small on size does it mean that you can’t get a lot of functionality out of them. As the list above proves, these appliances can actually offer more than just cook good food for a very small household. Some of them will also let you transport your dish without creating a mess which is a great plus since slow cooked dishes are often deemed as potluck superstars. 2. Make sure that it’s easy to operate. Most folks find themselves attracted to slow cookers because of their convenience. If this is true for you, you should also then be very particular about the ease of use of the unit you’re getting. It shouldn’t be complicated to operate so you can use it all the time without too much fuss. Aside from the simple controls, features like automatic warming and preset buttons will also come in handy for you. These will help free you from the need of supervising the appliance closely, making the slow cooker a more convenient kitchen device for you to have. 3. Think about the best shape for you. Due to the small size of 3-quart slow cookers, you should also be very particular with the shape of the unit you’re getting. The shape you choose can determine the kinds of dishes you can make, so you really have to take this detail in consideration. 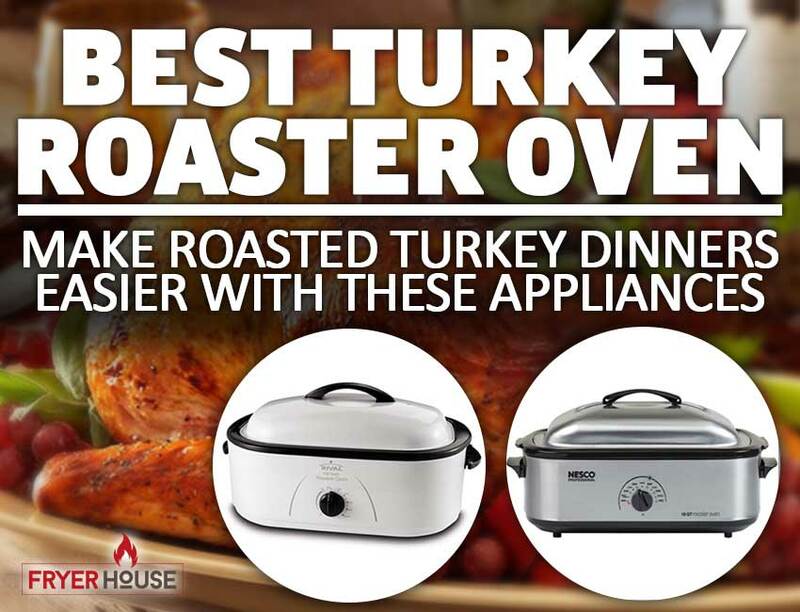 For those who love roasting chicken in slow cookers, the oval units can offer the best results. If you’re a bigger fan of stews and other chopped meat dishes, then the round ones will suit your needs nicely. If you’re more of a casserole person and you like making the tastiest oven to slow cooker recipes, then you should go for the rectangular ones. 4. Be very particular about the quality. 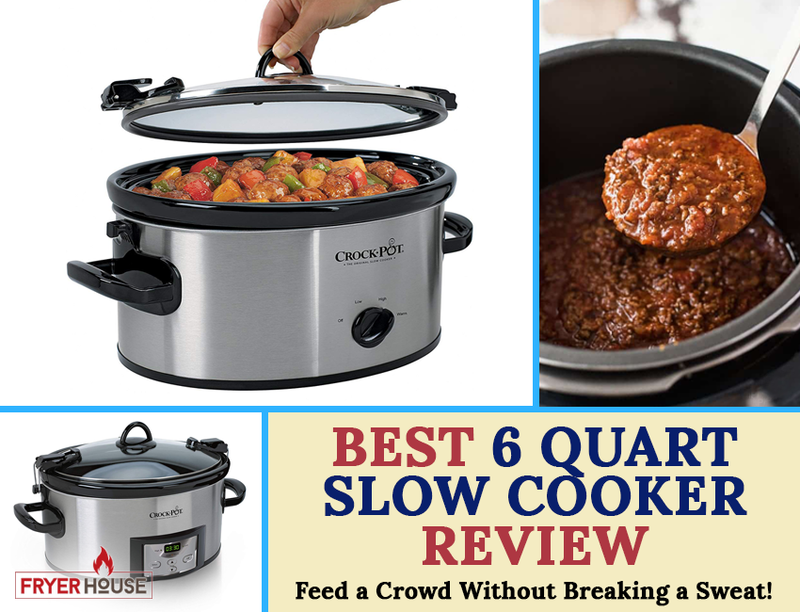 This is a no-brainer but it bears repeating that you should only go for quality slow cookers. Not only will they offer the best value for your money but they can also ensure your safety. Make sure that the unit you’ll get is made of high-grade materials and top-notch quality construction. 5. Consider the price tag. Since you’re buying a small appliance, you might also want to be practical in going about it. You might not want to spend too much but you also shouldn’t totally skimp on these appliances. You can definitely splurge on your slow cooker but keep in mind that the price tags on these things do not guarantee their performance. You can be wise, however, and go for a highly-recommended product that’s well within your budget. The best 3 qt slow cooker may vary from one person to another, so we’re not going to choose for you. With the tips we’ve shared, we’re confident that you can find a good choice among our top picks, however. 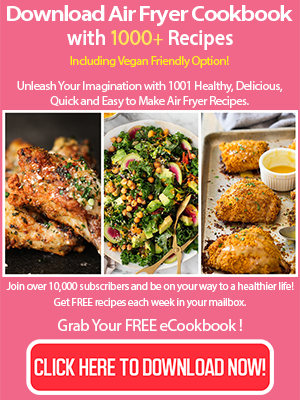 So give them a shot and you might just be surprised with just how simple the whole process can be – from choosing an appliance to making your first slow-cooked dish.